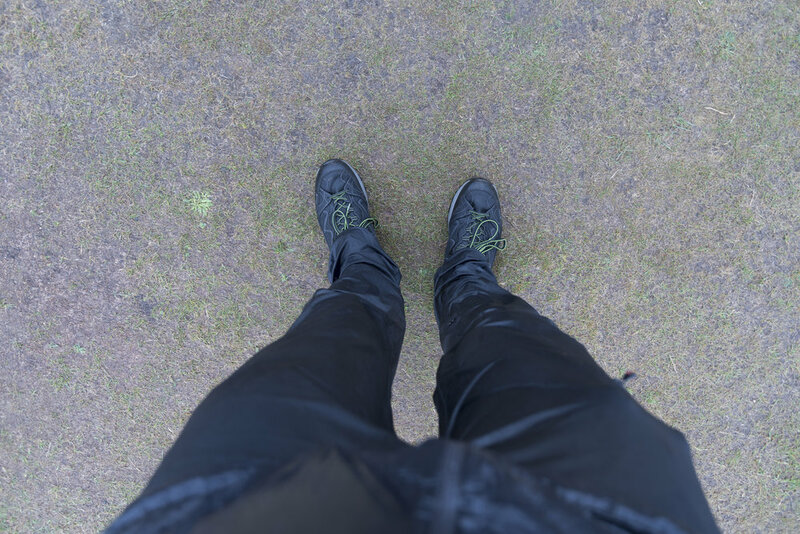 Over the past few months I have been taking the Maier Sports Nil Trousers out for a spin across the country and seeing how these lightweight outdoor trousers fair up. With the recent heatwave it has been difficult to use any clothing at all which is why this has been a bit of a slow burner to test fully and give a fair and full assessment of the trousers. But happy to share they are very lightweight, durable and comfortable to wear in a mixture of temperatures and conditions ranging from 20+ degree heat whilst hiking up and down mountains or in colder conditions down to -1 and strong winds plus the wet. The trousers are comfortable to wear in most weather conditions and with the recent change in conditions bringing rain and some solitude to the heat the trousers have been superb to say the least. In hotter conditions the trousers can be adapted to ¾ shorts by rolling up the bottom lengths and buttoning up just below the knee. The buttons are nice big, solid buttons which haven’t fallen off so there is no worry with the quality and build. When rolled up the trousers don’t feel tight around the legs and give ample room to move meaning they won’t rub in the hot conditions when you require the roll ups. One of the huge benefits I found with the trousers was how light they were and compact they could be rolled up so where it has been too hot to wear them out in the mountains I knew if it got cold later that night or the following day they were tucked away inside my pack not taking up much space or weight. Weighing only 250grams which for some trousers is great when trying to save weight and not compromise on quality or features. With this recent hot weather, the sun has clearly been a big thing to worry about as has sun protection/sun cream. These trousers offer 50+ UV protection so for longer hikes or multiple days you are protected from the sun’s harmful rays. The few opportunities I did take them out was early in the day and hill walking around the Chilterns or taking them up and around the Brecon Beacons and in both the trousers were very comfortable to wear for long periods doing high impact sports, although they are lightweight they still offer great protection and I haven't experienced any snagging or material cuts on rocks, thistle, thorns etc. You would think to compromise and make them lightweight the material can't offer as much protection, but they do. The trousers are filled with pockets and all are YKK zippers - Two at the hip, one on the right leg above the knee and two on the rear as well as a secret pocket on the inside of the trouser by the belt. This 'secret' pocket is great for hiding notes, coins or even a repair kit for on the go. As I mentioned all the pockets have YKK zippers and are weatherproof which I fortunately found out do work when I left my phone and spare camera battery in the pockets during a storm at Rhossili Bay. Moving back to protection, the trousers are very fast drying! And have a water repellent finish but are not waterproof so in heavy rain, an over trouser is required for longer trips or hiking in the wet. I wouldn't rely on these being my only trousers for multiple days and not have an over trousers to wear but for single day hikes and showers you can afford not to worry. During a hike through the Four Waterfalls in the Brecon Beacons it rained all day, although the trousers got wet from the rain or standing in rivers, moments later after patting down were dry again. I only met the match with the storm shortly after the brief visit to Rhossili Bay and the walk out to Worm's Head in which the wind and rain combined soaked through the trousers so heavy rain or long periods of rain as I mentioned will require an over trouser for further protection. The trousers do offer good protection from the wind too which I was very thankful for on this visit and although wet, kept me from getting colder with wind chill. A night watching the Perseid Meteors on Pen y Fan was the first real experience of cold the trousers have been subjected to. The night was clear, and a strong wind kept sweeping in over the top leaving us all to huddle in what ditches and long grass we could for some relief. Finally, the trousers come with a belt which is adjustable to required sizes. At first it feels a little cheap with a plastic buckle but the belt as a whole has been perfect and adds to the lightweight durable function the trousers offer. The belt can be rolled up nice and tight when not needed and of course can be taken out and used on other trousers or shorts when needed. So even when you don’t need the trousers you can swap to the Nil shorts and use the same belt for both to keep your pack lightweight. 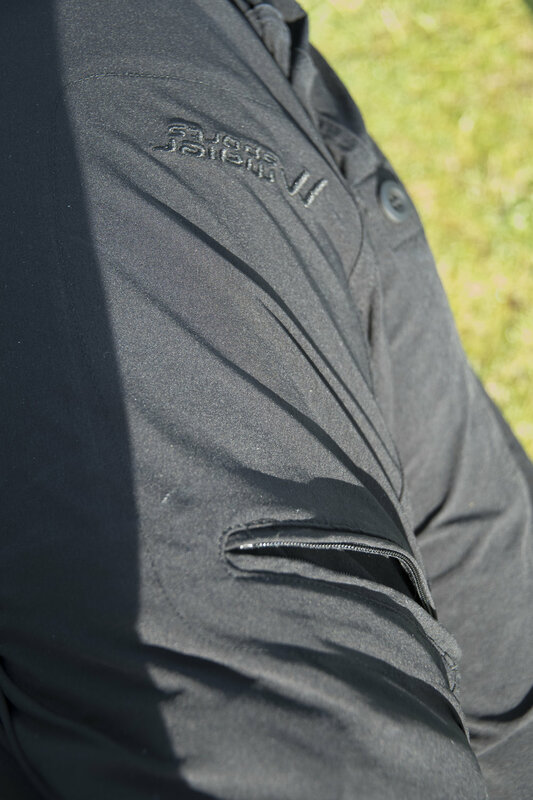 The Maier Sports Nil trousers are a great offering giving function, lightweight and durable benefits which give great protection and use through mixed conditions in the outdoors. 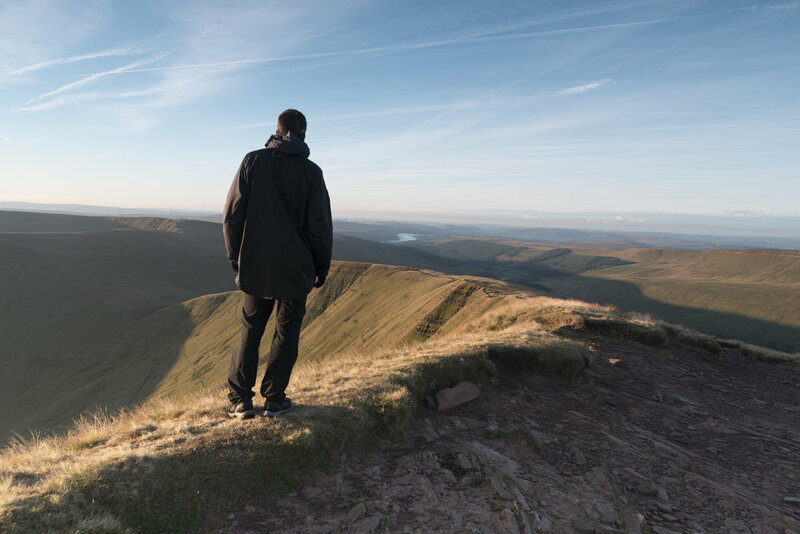 The lightweight material and tough water repellent outer means they are the perfect trousers to pack during Spring to Autumn and see you through anything you need in the outdoors. Whether this is a gentle hike around the countryside and hills or climbing up mountain sides in the pouring rain or stood in gale force winds. They have been a great offering to use throughout the warmer months and will be missed in the Winter months where I will be swapping to a heavier fleece lined trousers.